In hope of a bit more reliability and maybe a bit more power. I am trying to fit a Mikuni 28mm carb that was on my Yamaha R5. I have bought an assortment of jets and the tuning guides are very in-depth on how to get it set up correctly. 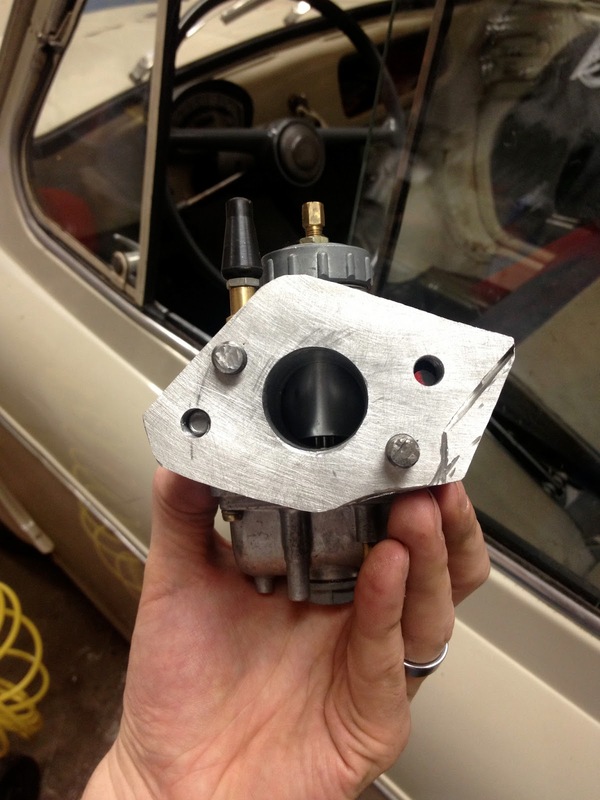 The coupling manifold is quick and dirty, made out of a piece of aluminum that I had lying around. The holes were all drilled on a regular drill press, the two holes that will hold the manifold to the engine are countersunk for socket head bolts and the other two are threaded to hold the rubber carb manifold on. 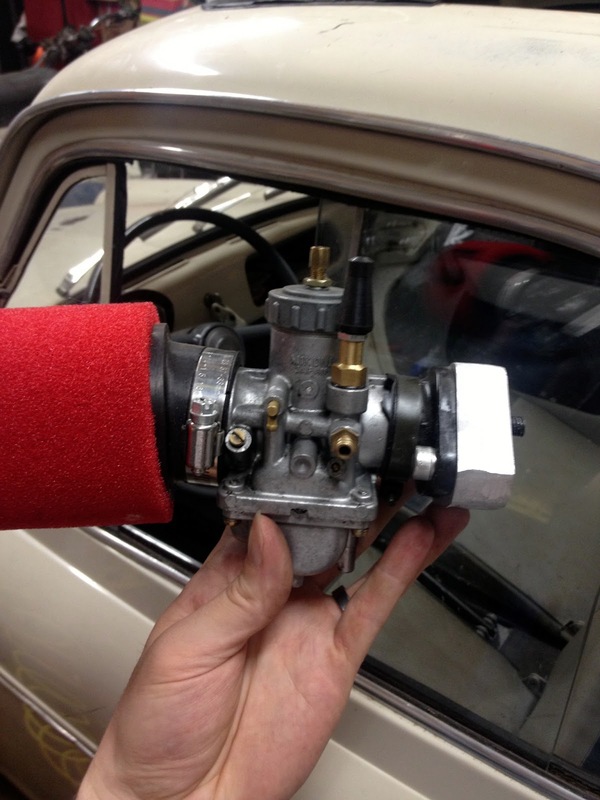 How the carb will look mounted to the engine. From the engine side. The carb in situ. The choke was swapped out for a kit making it cable operated.